We Are The World: Is Anybody Else . . .
Is Anybody Else . . .
up one or two cents??? It'd be a whole lot easier if they'd just wait four years and go up four cents. 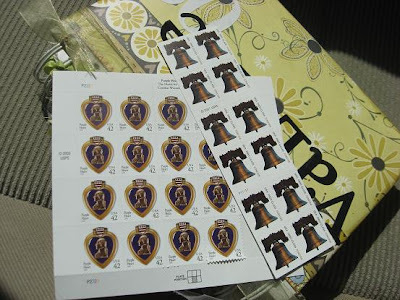 To mail a letter, I have to remember how much it is supposed to cost, then I have to scrounge up one and two cent stamps to go with my old 39 or 41 cent ones. . . . grrrrrr . . .